No que você acredita? Como adventista do sétimo dia, você pode apresentar 28 respostas a essa pergunta. Melhor de tudo, cada resposta é uma pequena amostra do amor ilimitado, incrivelmente poderoso e sempre presente de Deus. God Loves Me 28 Ways was designed as a read-it-yourself book for primary and early junior-age kids to learn about the beliefs of the Seventh-day Adventist Church. What do you believe? Each of the 28 answers to this question will provide a beautiful glimpse into the never-ending, incredibly powerful, and always present love of God. 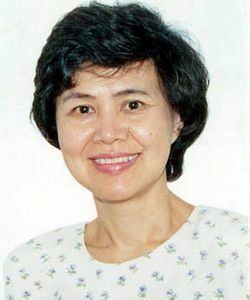 Dr. Linda Mei Lin Koh – Children’s Ministries director, General Conference of Seventh-day Adventists.